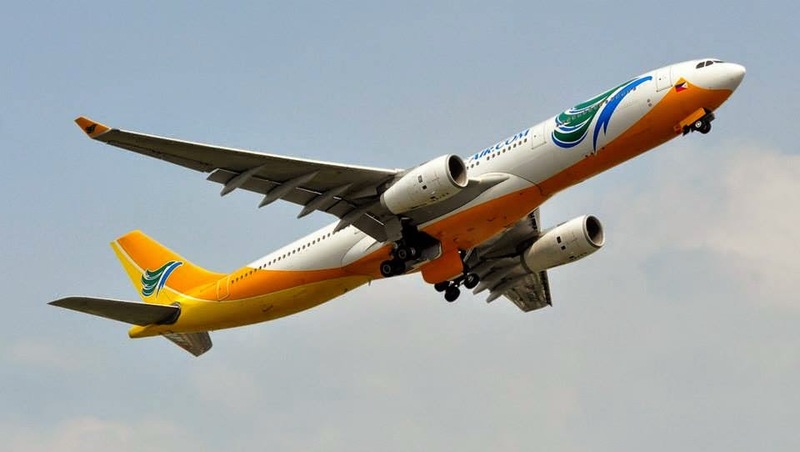 Aviation Updates Philippines - The Philippines' largest low-cost carrier, Cebu Pacific Air, booked a 213 percent increase of net income to P2.079 billion in the first nine months of the year compared to P664.081 million a year ago. The huge increase of the airline's net income was due to high volume of passengers traveling to its destinations. Cebu Pacific Air reported that the company's net income jumped to P2.08 billion from January to September this year or P1.33 billion higher compared to last year's P664.08 million. According to the carrier, revenues jumped by 25.7 percent to P38.45 billion in the first nine months of the year from P30.58 billion in the same period last year on the back of higher passenger and cargo revenues. The airline's passenger revenue surged to P29.72 billion compared to P23.59 billion last year as passenger volume grew by 14.8 percent to 12.5 million in the first nine months of the year compared to P10.9 million in the same period last year. Cargo revenues went up by 20.3 percent to P2.26 billion from P1.88 billion while ancillary revenues increased 26.4 percent to P6.46 billion from P5.11 billion. However, Cebu Pacific's flying expenses went up by 22.5 percent to P35.6 billion from P28.41 billion due to higher costs and usage of aviation fuel. Expenses on aviation fuel also increased by 21.6 percent from P14.35 billion. The airline's expenses grew by 25.3 percent to P35.6 billion from P28.41 billion. "The Cebu Pacific Air group is on track to meeting our target of serving 17 million passengers this year. CEB's growth in Q3 2014, was driven by increased presence in key markets, sustained demand for air travel and industry capacity rationalization," Cebu Pacific Vice President for Corporate Affairs, Atty. Jorenz Tañada said. Recently, the airline received its 52nd aircraft, an Airbus A320-200 equipped with Sharklets. The newest aircraft in the fleet will be utilized for additional frequencies to major destinations of the airline in preparation for the upcoming peak travel season. Cebu Pacific's 52-strong fleet is comprised of 10 Airbus A319, 29 Airbus A320, 5 Airbus A330 and 8 ATR-72 500 aircraft. It is one of the youngest fleets in the world with an average age of 4.28 years. Between 2015 and 2021, Cebu Pacific will take delivery of 9 more brand-new Airbus A320, 30 Airbus A321neo, and 1 Airbus A330 aircraft.